Wow wow wow!!! This is gorgeous! I loveeeeeeeee that dress!!!! colleen....I LOVE this. What a fantastic card, that dress is incredible! 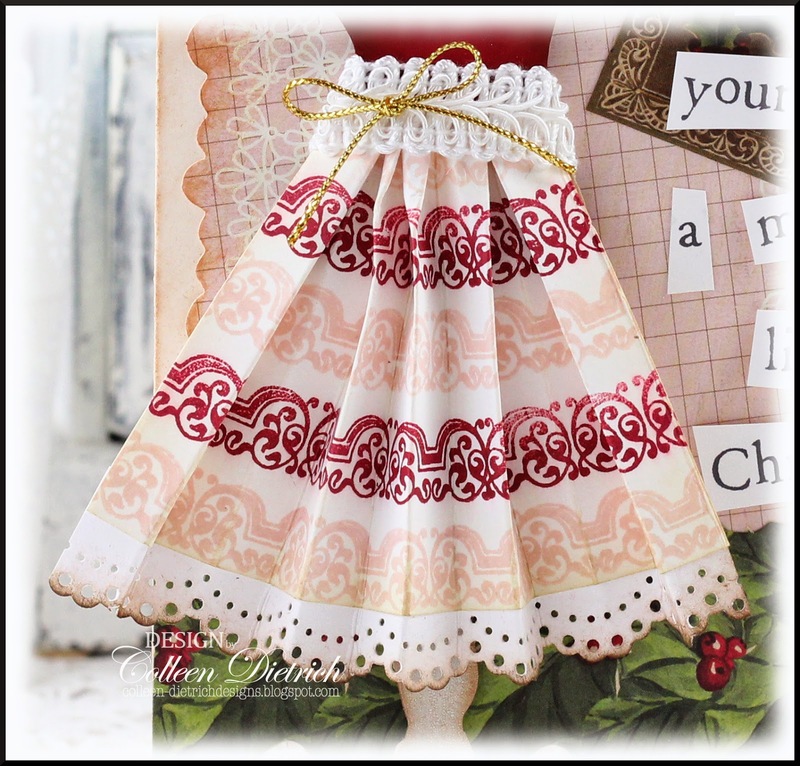 Its so Pretty !loved the dress and layering on card ! Such a pretty dress you made Colleen! Love the little cut out words, pretty card! This is amazing, Colleen! A unique and beautiful Christmas card! 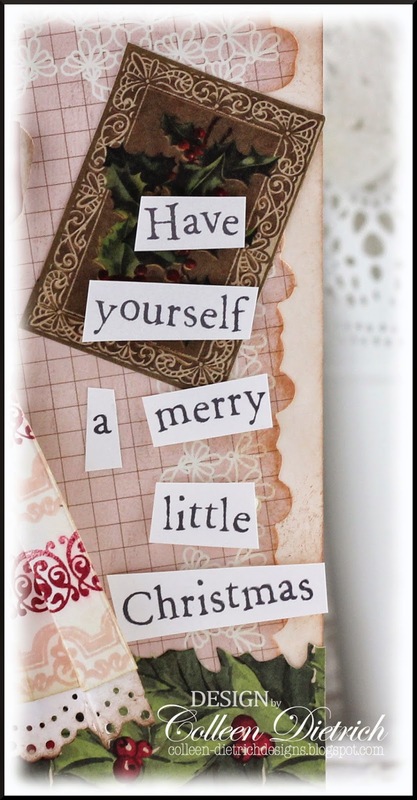 I love this idea for a Christmas card! Oh, how fun and sooooo pretty! 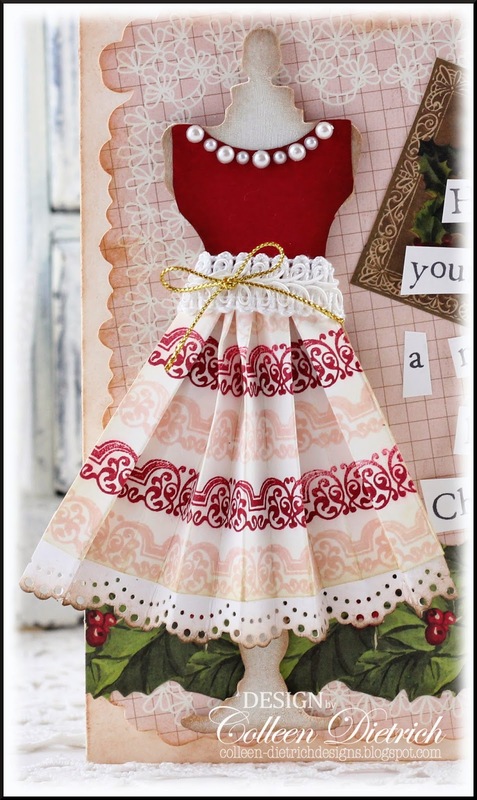 I love love love this christmas card and the dress is stunning! The skirt is perfect and I love her pearl jewelry:) Wow! I love this card! The dress is gorgeous, as is the entire card desig. Oooh-la-la, Colleen! Your dress i amazing! I love how you put the elements to work! So glad that you join the fun over Virginia's View Challenge! Love this! 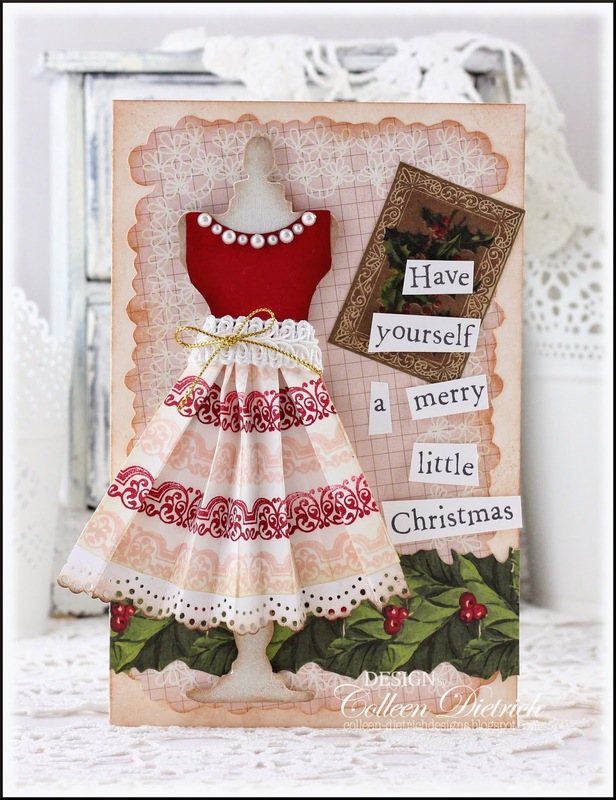 Great dress and super fun Christmas card. Hugz!